The adventure doesn't stop after a great day in the field! Be sure to check back here for delicious and easy-to-make game recipes! 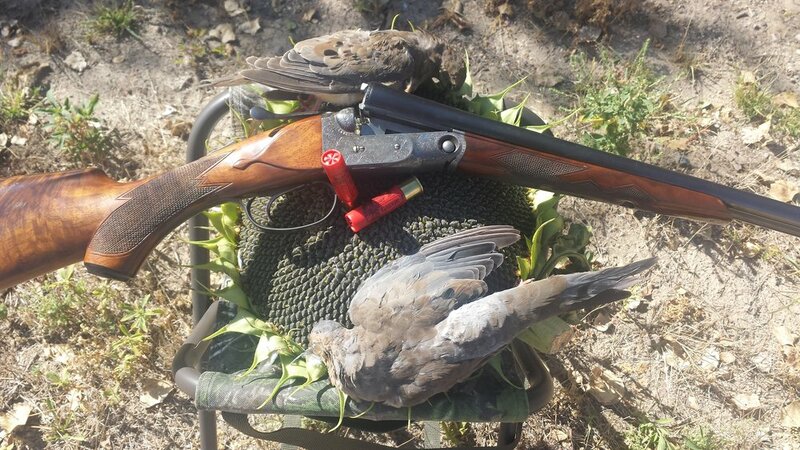 Whether you harvest 2 doves or your limit, these birds make a great meal, appetizers, or an addition to a main course. Never toss doves away just because you end up with just a few. One thing you must know for cooking dove: They are very lean and cook fast! My favorite when we just don’t have enough to throw a party is to add the small breasts to scrambled eggs or an omelet. Adding bacon or beef sausage is a good idea for flavor and the fat helps the leanness of the dove. Special Note: When using game meat, we try to go as healthy and clean as possible. Shoot for Organic produce and cheeses when possible and nitrate free bacon. Dice choice of pepper into small pieces. Place the pepper between the two dove breasts. Place a generous piece of cheese of your choice on top of the pepper. Fold the breasts and wrap with bacon using enough to cover the entire breast. Place on preheated grill using medium-low direct heat. Rotate constantly to cook bacon evenly making sure it doesn’t catch fire! Remove as soon as bacon is cooked to your liking.